please go to step 4. 1. Your Details: Please enter your contact details & general information and click Submit. 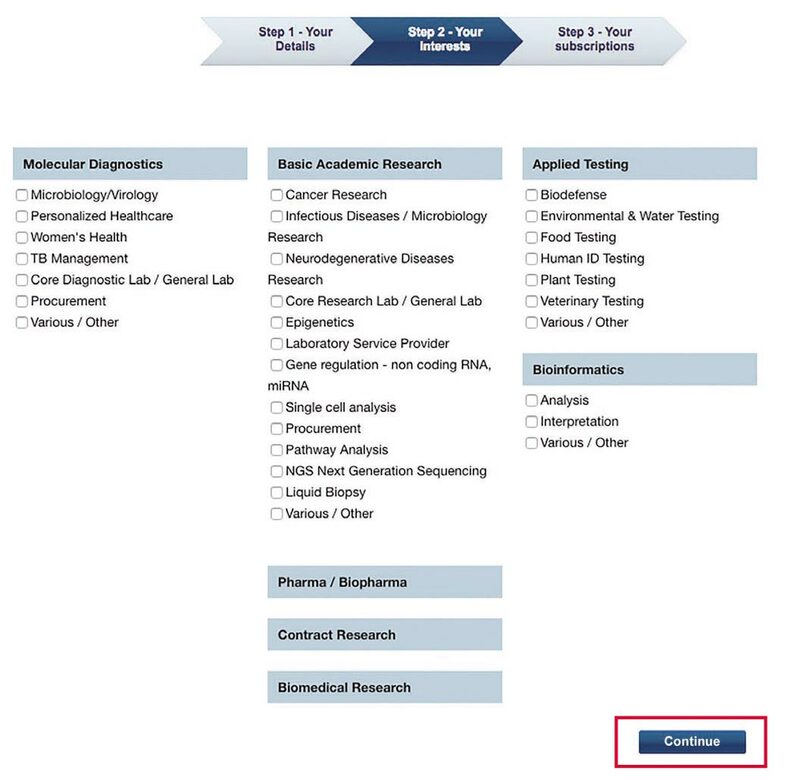 2.Your Interests: Mark all topics that interest you and click on Continue. 3. Your Subscriptions: Choose your favorite methods of communication and click Save. 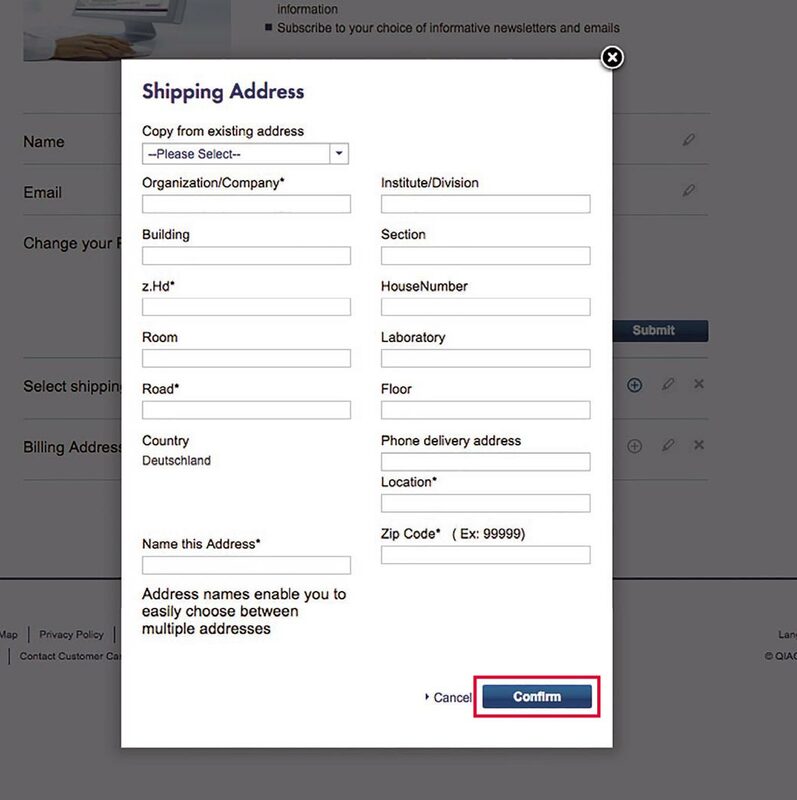 4 Click on Account Data to ensure that your address is filled out before placing your first order. 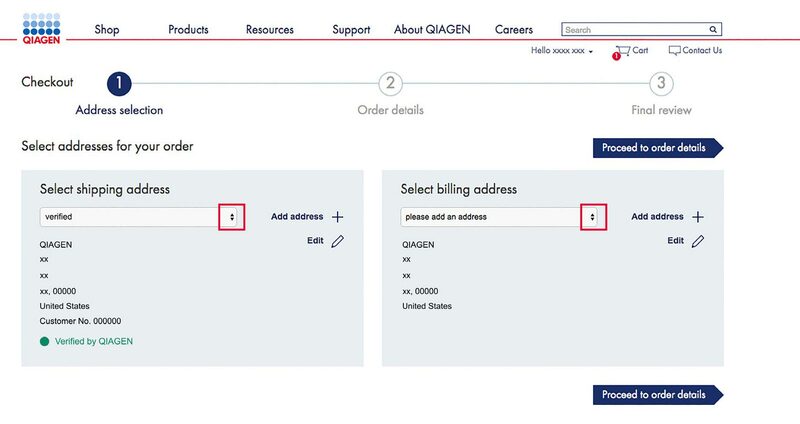 Your online account can be matched to your current customer account only if both shipping and billing addresses are complete. 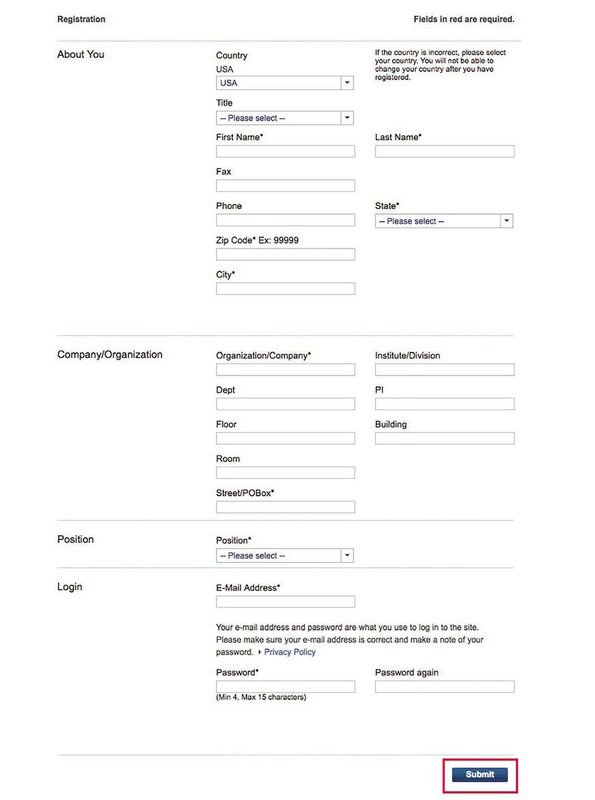 5 Add an address by clicking on + , complete all fields and click Confirm. Note: Detailed and correct addresses are verified the fastest. You can set up and manage multiple shipping and billing addresses. Important note: If this is not your first order, you can also repeat a previous order, which is useful for when your orders generally include the same products. 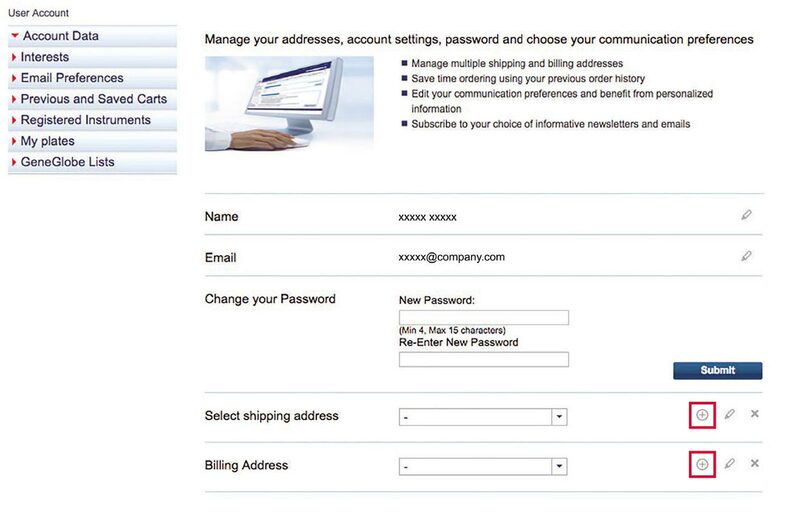 To access your previous orders, just log in and click on "My Account" at the top of our website. Saving shopping carts for later use or emailing shopping carts to colleagues: You can prepare a cart of products and save it for later use by sending it to yourself. This is useful for when you don’t have time to complete an order, need to check something before ordering, or need to obtain permission from someone else before ordering. You can also put together a shopping cart and email it to someone else to order (or you can have someone else prepare a cart and send it to you to order). This is useful if someone else places your orders or if you prefer someone else to list the products that they want you to order. 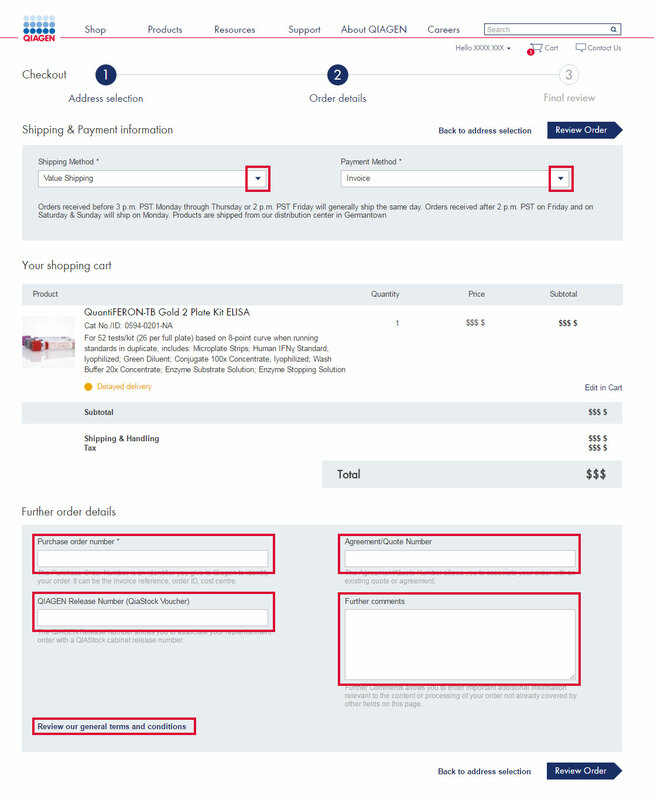 To email your cart, add products as normal and then click "Forward Cart" below the shopping cart. You will then be asked to enter your name and email address, a message, and the email address of the person to whom you want to send the cart. 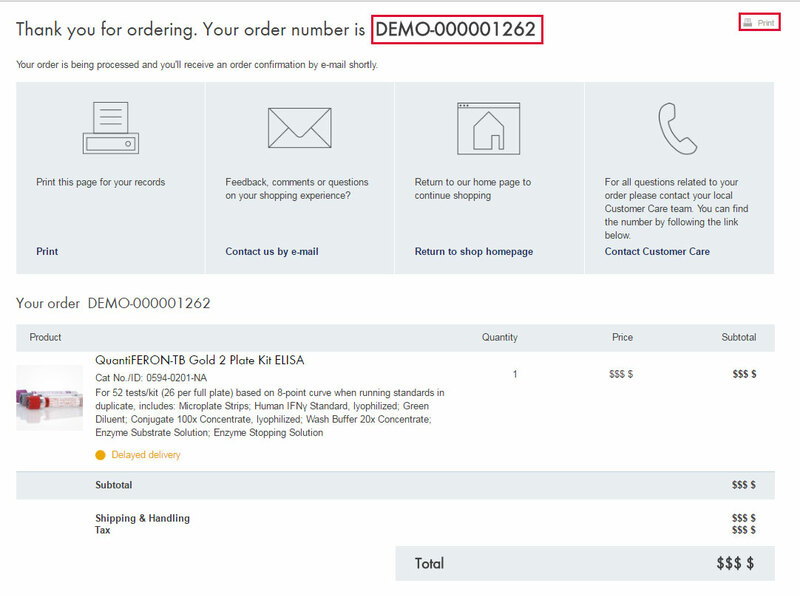 The person receiving the cart will then have a link to follow so that they can see what you have entered and can place the order for you, if applicable. 1 Log in is required for check out. 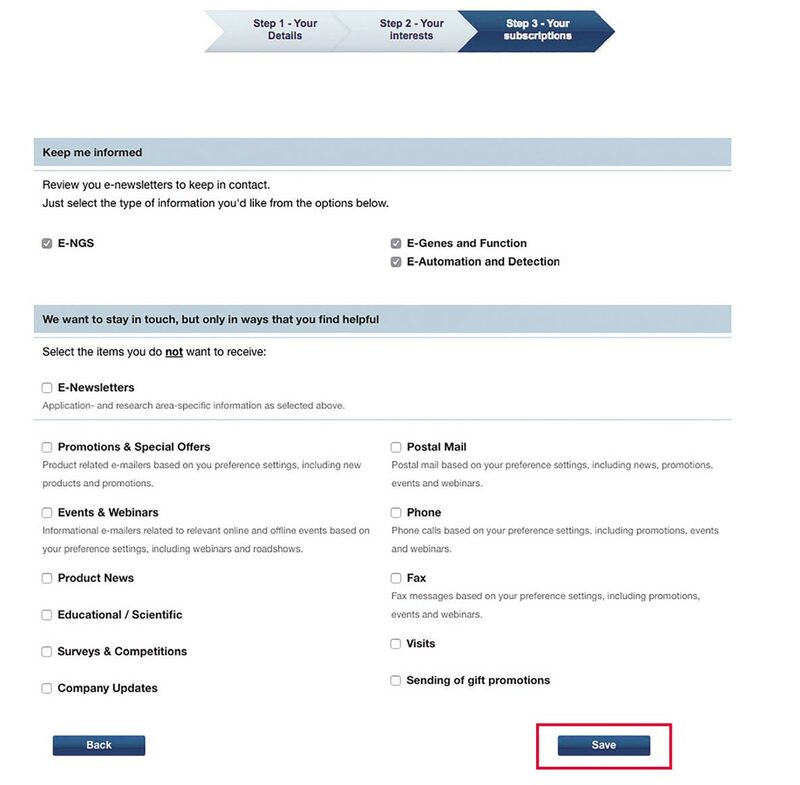 If you are not logged in to your account, please go to "WHAT YOU NEED TO SHOP ONLINE". After logging in, you may review your cart and see the final price. 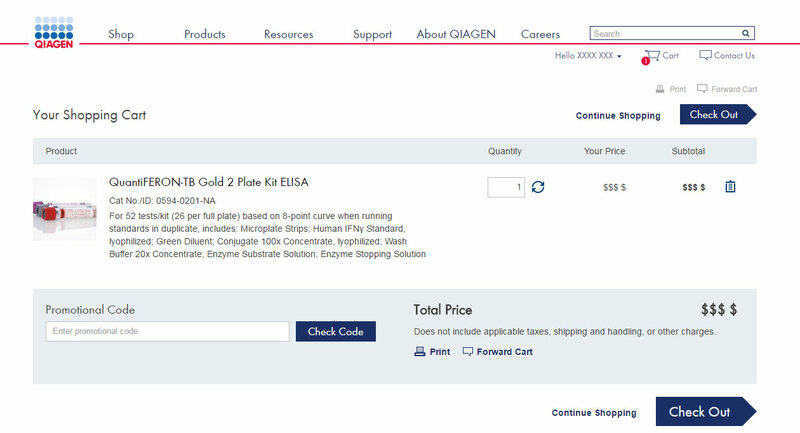 See our "Ordering from QIAGEN" page for more general information on ordering and delivery. If you have further questions about online ordering or technical issues with the website, check out our FAQ database, which answers common questions raised by customers. Alternatively, you can contact our Customer Care department. To give general comments, feedback and suggestions related to our website, please email: webmaster@qiagen.com.